For the past several months, RUTHMANN’s new T 480 has been selling particularly well on two-axle (tandem) trucks. There is a variety of different truck brands to choose from including: Mercedes-Benz, MAN, Volvo, Scania, Isuzu (for the Asian market), and Freightliner (for North America). RUTHMANN calls this attribute “multi-chassis compatibility”. 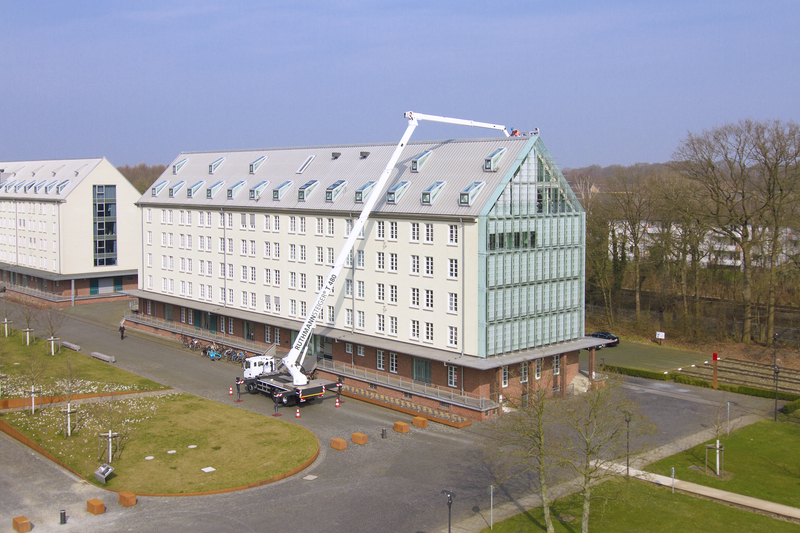 Because rental companies provide drivers/operators when renting out truck-mounted aerial work platforms of this size, creating a pleasant work atmosphere at the jobsite is garnering more and more attention. In addition to the many state-of-the-art technical features on trucks today, sleeper cabs are becoming increasingly popular. Sleeper cabs allow drivers/operators to rest and relax comfortably during lunch hour and at break time. For assignments in rough and uneven terrain (e.g. construction sites and utility poles in remote areas), all-wheel drive trucks are a major advantage. With a maximum height of just 4 m, the features of RUTHMANNSTEIGER ® all-wheel drive work platforms are simply unbeatable. Even on an all-wheel drive chassis, the gross vehicle weight of a 2-axle (tandem) truck does not exceed the 18 t limit. 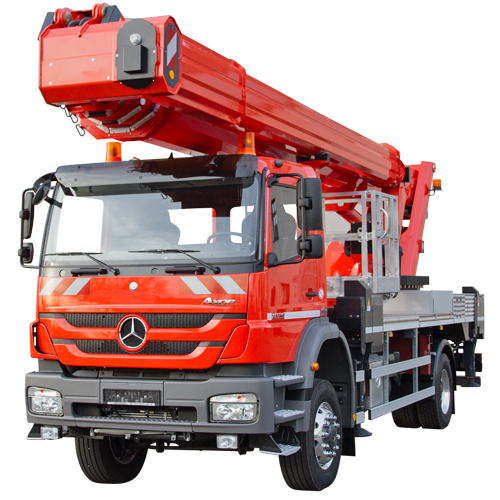 For customers, the overall performance of the work platform is just as important as the features of the truck it is mounted on. RUTHMANN’s innovative HEIGHT performance-series has so much to offer. 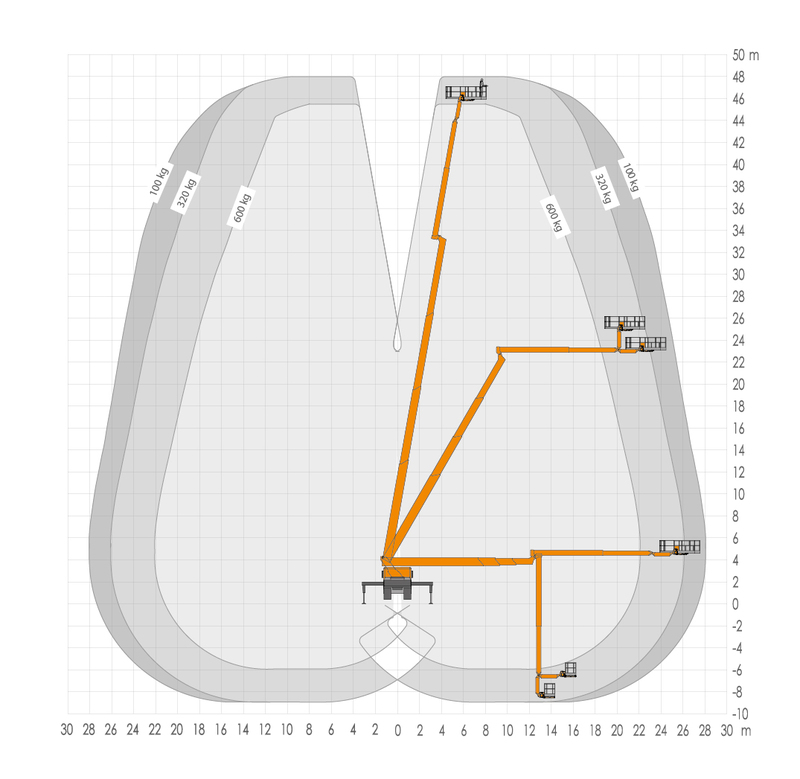 Compared to other manufacturers, the greatest customer benefit of all is the extra reach capacity above the 20 m working height level – up to 3 more metres at this height (see diagram on the lower right). 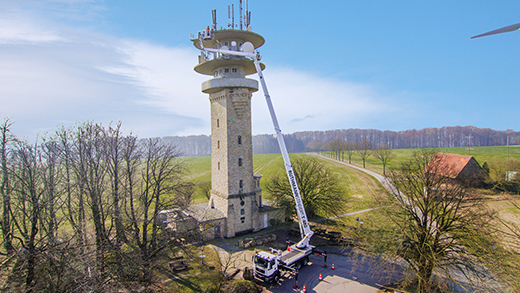 Maximum reach capacity when working up high is and always has been a top priority for customers who RUTHMANN had consulted prior to the development of the HEIGHT performance-series. This advantage is not limited to the new T 480 but is also available on all other models in the highly successful HEIGHT performance-series. 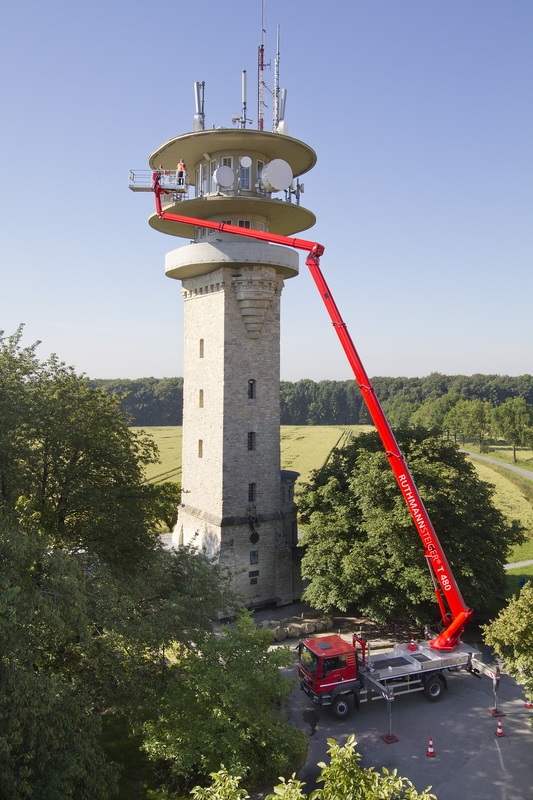 The work basekt of the HEIGHT performance-STEIGER ® series features larger internal dimensions (3,613 x 890 mm when fully telescoped) and smaller external dimensions (2,420 x 1,040 mm) than those made by other manufacturers. In addition to the important technical features, customers and/or operators and equipment rental companies require work baskets that can be used for a wide variety of purposes. RUTHMANN has documented the amazing versatility of their work baskets in the company’s “Multifunctional Work Basket” brochure (click here). The work baskets are ideal for: TV/video recordings, glass/window/façade cleaning assignments, installation and repair work on signs, billboards, solar panels, radio towers, streetlights, etc. 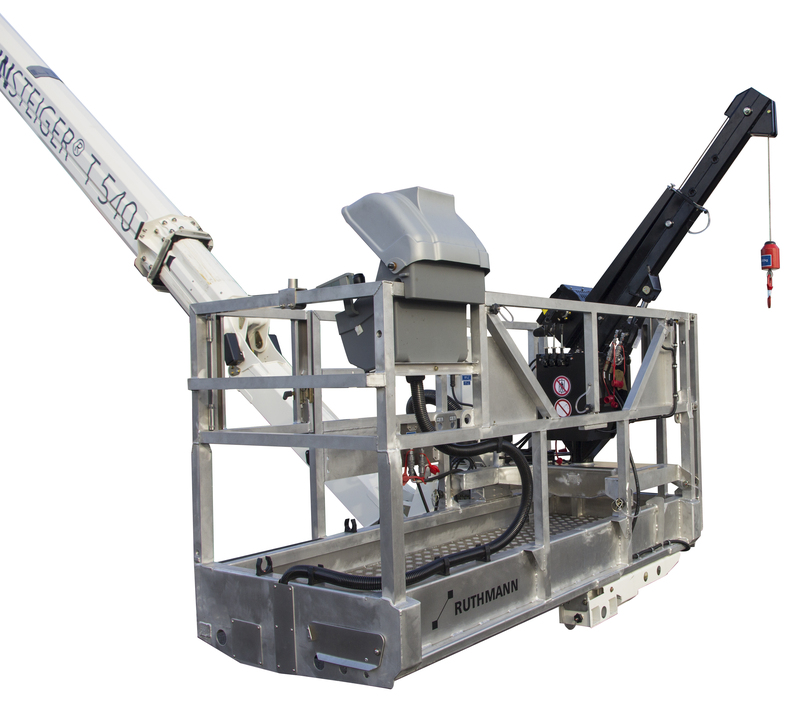 The boom system can be fully operated at maximum (600 kg) basket load capacity. All boom and outrigger movements can be controlled from inside the work basket. If the assignment is of longer duration, the operator can sit down and relax on the folding seat located in the basket. Heating systems for the control panel and basket floor nicely round off the many useful features on and inside the work basket. The multi-functional work basket was also developed in cooperation with operators and is specifically tailored to their wants and needs. The multifunctional work basket – designed specifically for models in the HEIGHT performance-series – is perfectly suited for the widest variety of assignments imaginable. The optional camera bracket, for example, facilitates steady and smooth filming from high up. The brackets can accommodate cameras that weigh up to 100 kg. With the innovative “Lift-Up System” mounted onto the work basket, it is perfectly equipped to safely lift up to 400 kg of heavy and bulky items to the desired location. RUTHMANN's "Lift-Up System" is designed to accommodate the load at ground level. Parts do not have to be transported separately and there is no awkward on-site assembly. Furthermore, there are no stumbling hazards anywhere on the basket floor. Heavy and bulky items (to 300 kg) can also be lifted using the material winch. When utilizing the material winch, the boom system does not have to be lowered in order to pick up items at ground level. The material winch has a lifting speed of approx. 6-10 m per minute and the type examination – unique on the market – maximizes overall safety at the jobsite. Using the material winch is a fast and efficient way to lift heavy/bulky items without having to lower the work platform. The T 480 has all of the familiar benefits that have made the HEIGHT performance-series so popular. Models in this series feature compact vehicle dimensions and the T 480 is no exception. The total vehicle length is a mere 9.76 m – unrivalled in the industry. 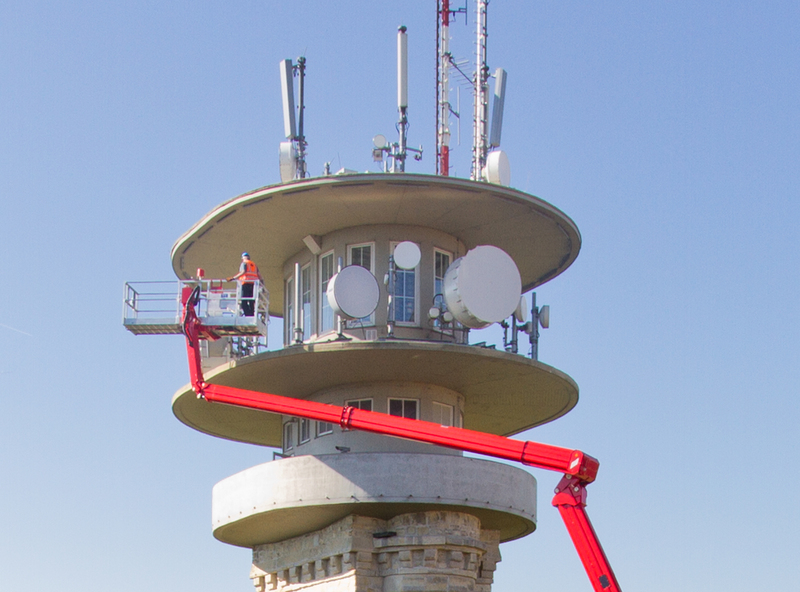 With a 48 m working height and 32 m lateral outreach, RUTHMANN’s new T 480 has the best performance capabilities in this category available on the market today. 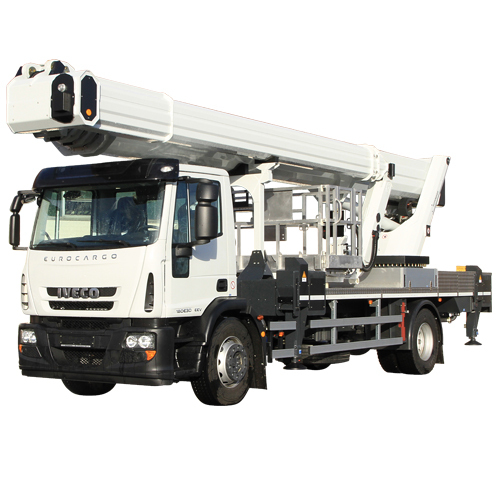 Mounted onto a standard 4x2 chassis, the T 480 has a height of only 3.72 m. On an all-wheel drive (4x4) chassis, it is just 3.95 m high. The net weight (curb weight) is approx. 17,600 kg, even on a 4x4 chassis with sleeper cab. There is enough room for passengers, tools and equipment without having to worry about exceeding the gross vehicle weight (GVW) restriction. The long upper boom and movable jib (RÜSSEL ®), maximize the STEIGER ® T 480’s performance capabilities when working up high. Because the boom system can be pivoted at maximum lateral reach without having to be retracted, exceeding the load torque limit is next to impossible with the T 480 and its siblings in the HEIGHT performance-series. 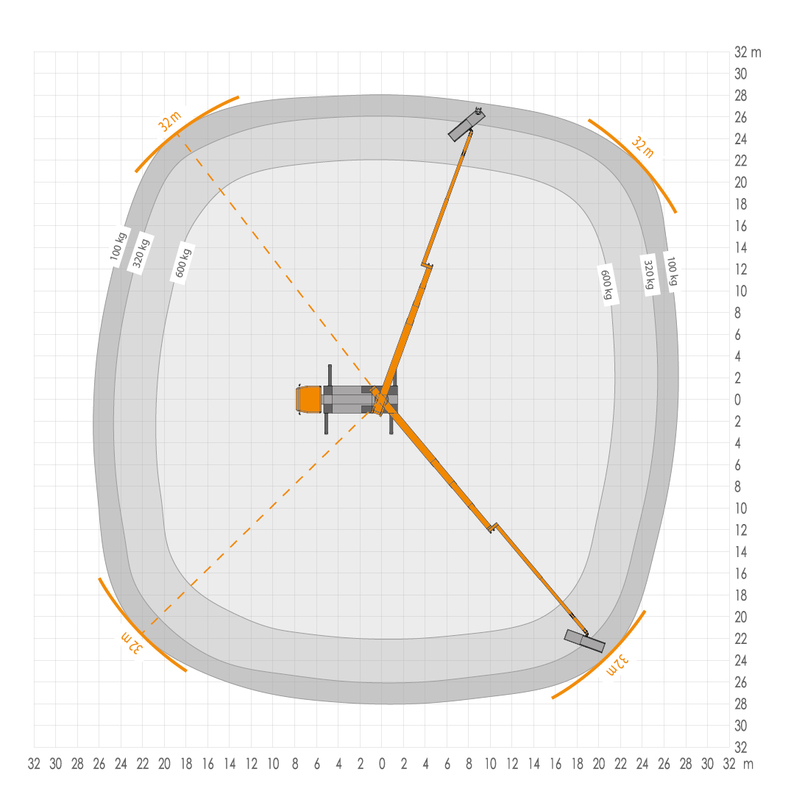 All movements at the job location are fast, smooth, and circular – not angular. As every professional knows, the greater the rotation and swivel angle of movable boom components, the more complex the control technology. In contrast to the competition, RUTHMANN has years of experience with hundreds of HEIGHT performance-models now sold. Movements are smooth and fast thanks to RUTHMANN’s highly developed control technology. This greatly enhances safety and efficiency at the jobsite. 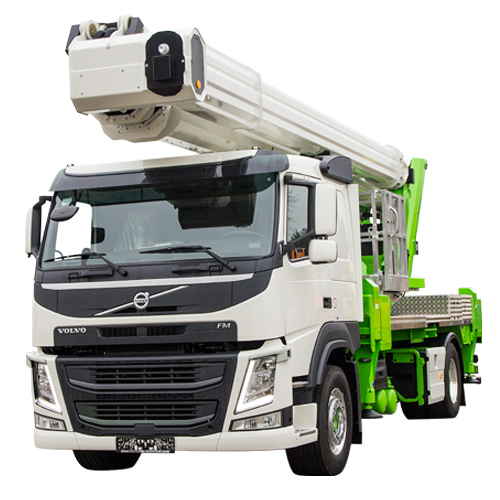 Customers worldwide have diverse needs and sometimes require heavy-duty work platforms that, in addition to state-of-the-art features and top performance capabilities, also provide off-road mobility. 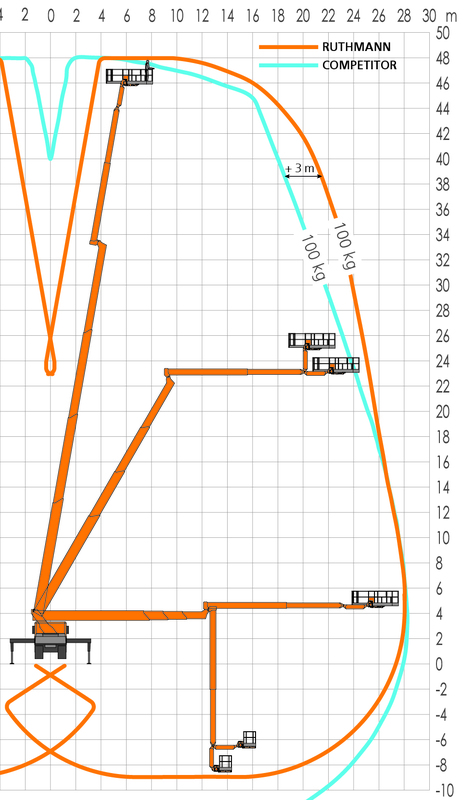 This is why the T 480 can also be ordered on a 3-axle chassis. RUTHMANN has enhanced the outrigger stroke on its all-wheel drive T 480 and further optimized its performance capabilities. RUTHMANN’s upright basket offers considerably greater capacity above the 20 m working height level (*see diagram on the right). This concept also provides tremendous benefits at the jobsite. During pipeline construction, for example, the boom can be carefully extended below and behind existing pipes. The jib/work basket is then lifted to the desired position so that work can be carried out behind the pipes. Of course, RUTHMANN’s basket concept also enables work to be carried out below ground. 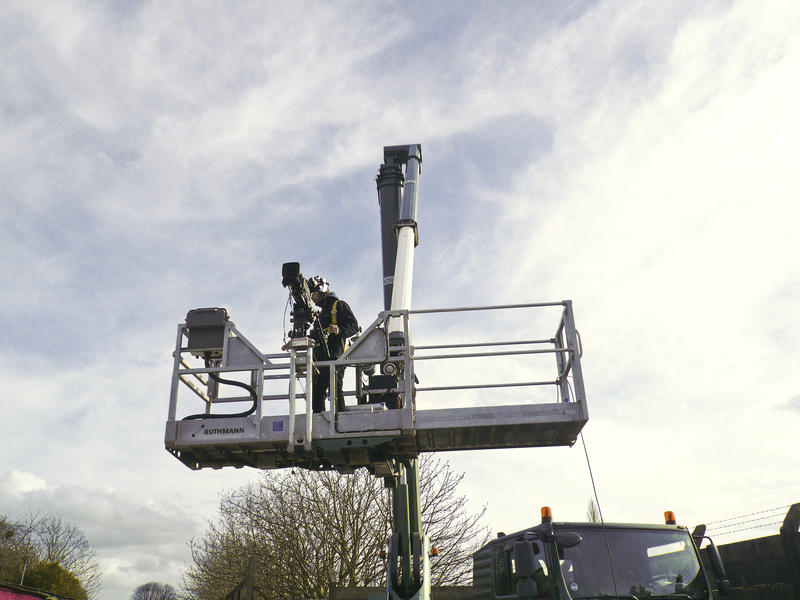 However, industry experts are in agreement that these types of aerial work platforms will not be able to replace the more effective under-bridge inspection units. 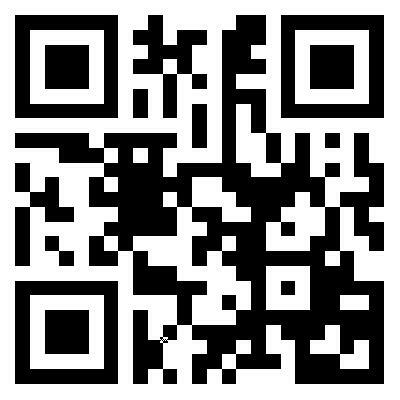 We are providing our newsletters to inform all recipients about current news about RUTHMANN, twice to four times a year.